In an effort to raise awareness of the many training opportunities available to community members who are looking for a job, want to find a new career or update their skills, or will soon graduate from high school, Laney College will present its Career and Technical Expo 2013 on Saturday, April 27, from 10 a.m. to 3 p.m.
More than a dozen hands-on demonstrations of Laney’s many programs will be presented onsite, including machine technology, welding, biomanufacturing, green jobs training, architecture and engineering, carpentry, photography, and cosmetology. Attendees will have a chance to talk to instructors about their programs and to meet with college staff about registration and financial aid. In addition, Laney’s business partners from local industry will be available to talk about job opportunities. All participants will be treated to a complimentary lunch. Through this event, Laney CTE hopes to show the community the many excellent programs offered that can lead to in-demand occupations and to show employers where they can send their workers to upgrade their skills. There is a high demand for skilled workers in many occupations, and Laney is one of the best programs in the region to find that training. 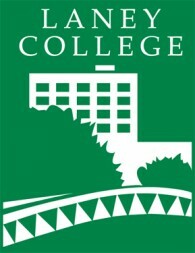 The event will be held on the Laney Campus, 900 Fallon Street, Oakland, CA, in and around Building G.
In an effort to raise awareness of the many training opportunities available to community members who are looking for a job, want to find a new career or update their skills, or will soon graduate from high school, Laney College will present its Career and Technical Expo 2012 on Saturday, April 28, from 10 a.m. to 3 p.m. on its Oakland campus, located at 900 Fallon Street, in and around Building G.